Some gentle probing uncovered no trauma, either as an adult or a child. In fact, the client claimed an idyllic childhood, in which adults around her had been kind and supportive, and she never had a need that went unmet. Yet she had sought out hypnotherapy because her life seemed to lack security and happiness. Her work was unfocused and her home was a mess. Hypnotherapy is a constant paradox. It’s not sleep; it just looks like sleep. The conscious mind (what one thinks) is subservient to the subconscious mind (what one feels). Adult behaviors are heavily influenced by childhood experiences, particularly traumatic experiences; and though so influential, the conscious mind often has no memory of them. Knowing that such paradoxical phenomena exist suggests a set of systematic strategies for addressing undesirable behaviors. That’s what one learns in training to become a hypnotherapist. Via that training, one learns to accept paradox as a normal state within the person seeking hypnotherapy. Resolving the conflict created by a paradox is simply a matter of applying the learned strategies. Not that it’s ever a simple process. One of the things I enjoy most about the practice of hypnotherapy is the constant opportunity to exercise my own creativity and helping people understand and resolve paradoxical behaviors, attitudes and emotions that have them stuck. I have been struck by several recent clients for whom there appears to be no normal paradox. No adult trauma is reported in the intake interview. No childhood trauma emerges while in hypnosis. Rather, they have been almost apologetic in reporting a happy and secure childhood. It is apparent some type of paradox is creating their unhappiness, but it is wrapped in enigma. A young professional woman came, reluctantly, to see me. I had met her several times in social situations. She put on a brave face but it was obvious she was unhappy. Her reluctance was associated with a prior hypnotherapy experience that was only marginally successful. But the depth of desperation, combined with a level of trust I had established during those brief encounters, brought her to my door. She wanted to skip through the intake interview and go immediately to hypnosis. I gently reaffirmed our roles as therapist and client and pressed forward with the interview. Like many highly intelligent people, she continued to try and do my job for me; self-diagnosing and trotting out well-rehearsed alibis and excuses for current behaviors and past failures. Recall, this client had a stress-less childhood. Her every need was met. Her parents loved her unconditionally. And that is pretty typical for Generation X. Unlike the Baby Boomers, Generation X grew up in relative affluence. Throughout their lives the economy grew steadily. Their parents had money and they spend it generously on their children. Gen X also had the questionable benefit of growing up with a misinterpreted Dr. Spock. The good doctor suggested that earlier generations had treated children harshly, believing that praise spoiled them; and that the only way to create discipline was through corporal punishment. The pendulum swung wide, with many parents of the 60s refusing to use the word No and avoiding all discipline lest it inhibit their children’s natural tendencies. The trend eventually made its way into schools. Corporal punishment all but disappeared. Harsh criticism and “dunce caps” were replaced by constructive criticism and early remediation. That is, among teachers with the intelligence and pedagogical empathy to apply them appropriately. For many teachers it was simply easier to avoid the issue of criticism altogether, resulting in an over-emphasis on positive reinforcement to the exclusion of objective evaluation. The majority of Gen Xers grew up thinking everything they did was awesome. But a lot of it, when examined objectively, was not. Some was mediocre. Some was just plain bad. But the fear of damage to developing psyches prevented objective evaluation, leading to a generation of feel-good idiots. The results are manifold and multifaceted. Recent generations increasingly evaluate their abilities as stronger than objectively measured. High school grade point averages have increased, but students are less prepared to enter college. The current generation is expected to change jobs, and perhaps vocations, 2 to 3 times more often than their parents and grandparents. I tried to draw the 18-year-old out more about her reasons for not wanting to come forward. She was resolute in the concern that, as an adult, she would “have to take care of everyone." We explored that theme a little further and the teenager finally agreed to come forward. Some people take exception to the phrase feel-good idiot. The specter of Dr. Spock makes them uncomfortable with the tone, and indeed the word idiot. It is an exaggeration in the sense that the same feel-good idiots earn college degrees, enter professions, and apply academic knowledge in productive ways. Yet, the tragedy is that they do not know themselves. There are several paradoxes here. 1) If one is truly happy, why would there ever be a reason to explain or justify behaviors that are obvious expressions of unhappiness? 2) Self-sacrificing behaviors are not generous as much as they are self-critical. If one starts with a positive sense of self (“I am good enough”), you give with joy and derive happiness from it. Starting with a negative sense of self (“I am not good enough”) makes generosity a burden that you eventually perceive as an imposition. In other words, the satisfaction derived from giving of oneself depends on one’s self-image during the act. Genuine generosity arising from self-love reinforces positive feelings towards oneself. The hypocrisy of giving from a position of self-loathing reinforces negativity, not only to oneself, but eventually to the recipients of the supposed generosity; and that can include spouse and children. 3) Children who grow up with minimal opportunities to struggle and experience conflict may lack the coping skills necessary to negotiate the world as an adult. It’s like reintroducing zoo animals to the wild. Raised in captivity, then fed and cared for throughout their early developmental, they do not know how to seek food or protect themselves from other animals in a natural environment. In fact, they resist leaving their cage. Children benefit from an appropriate level of criticism, struggle, and responsibility throughout childhood. Taking care not to let the pendulum swing too far again, adults shouldn’t knock them down; but they should be allowed to fall and get back up. 4) Likewise interpersonal relationships. Children whose own needs were met unconditionally may or may not be able to extend the same courtesy to others. The most important others will be their own children. If you have never had to care for yourself, it is understandable that you might fear or resent having to care for others. If childhood is made too comfortable, where is the incentive to become an adult? 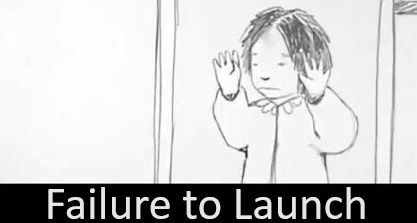 That’s the basis underlying the concept of failure to launch. Some adult children find it impossible to break from their parents and live lives of their own. Sure, you can push them out of the nest, but will they have the skills to survive? Or, will they even know they are lacking those skills until they show up at my door; unhappy, distressed, stuck. The client whose session I have described was a teenager in a thirtysomething body, with a husband and two children, idealizing adulthood and parenthood using the model of her own parents; whose generation gave their all to their children so that they would not know the struggles of their forebears, and therefore depriving them of the lessons to be learned from those struggles. Be prepared for the client who shows up with no problems. It is likely to be someone who thinks they are happy because they have always been happy and have no reason to be unhappy. But their presence at your door means they are indeed unhappy. Your job is to help them find their way from childhood into adulthood. Yes, as an adult they have responsibilities to others. But they cannot adequately exercise those responsibilities unless they first address their own needs. That is not being selfish; it is being pragmatic. As in Chinese philosophy, you cannot fill the cup of another if your own cup is empty. This article originally appeared in the Fall 2009 issue of Unlimited Human, the official Magazine of the IACT and IMDHA. Find more articles like this by joining the IACT or IMDHA and accessing the membership-only Virtual Library. To avoid ‘empty nest syndrome’ or ‘failure to launch’, teach children toward self-actualization. 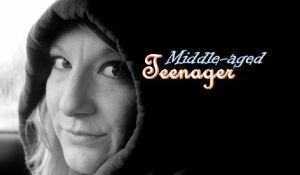 A secondary gain for middle age teenagers is unabashedly transferring responsibility to others.